The U.S. and British Virgin Islands are among the most popular yacht charter destinations in the world. With shopping hubs like Mongoose Junction on St. John, beach bars like Foxy's and the Soggy Dollar Bar on Jost Van Dyke, snorkeling venues like the Indians and Caves off Norman Island, plus the famous Baths on Virgin Gorda, the Virgin Islands offer a wide variety of options. A round-trip itinerary with pick-up and drop-off in St. Thomas allows for plenty of time for a stop at St. John plus the balance of the week spent seeing the best of the BVI. A start and end in Tortola, in the BVI, allows for a slightly more relaxed pace plus the opportunity to maximize your time in the BVI. The shorter cruising distances between most of the islands plus a new island destination each day is what makes the Virgin Islands so unique as a chartering destination. St. Thomas: Known as the #1 shopping destination in the world due to an influx of Cruise Ship passengers during season, visitors will discover plenty of shops, restaurants and alleyways to explore, particularly those in the search for fine jewelry. A direct flight into St. Thomas the evening before followed by a charter plus one night spent ashore is our client's most popular choice due to affordable flights. St. John: 80% of the island is protected by the National Park, which has allowed St. John to remain a pristine gem. 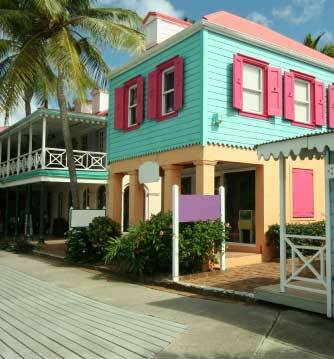 The charming town of Cruz Bay offers some excellent restaurants and interesting shopping. A visit to Mongoose Junction is a popular stop for guests, with its variety of high-end shops set among stone walls. The beaches and bays along the northwest coast are some of the finest in the Virgin Islands and also home to Trunk Bay, having been previously rated as one of the top 10 beaches in the world. If starting and ending in St. Thomas, you'll likely spend one night off St. John. Tortola: the main island in the BVI, she makes a pretty back-drop as you island hop your way around the smaller, outer islands on a typical one week charter. Cane Garden Bay on its northern coast is mentioned in a Jimmy Buffet song and home to a lovely beach and handful of beach bars. West End, otherwise known as "Sopers Hole" lies on the West End of the island and provides a sheltered harbor, popular pick-up and drop-off point, plus several quaint tropical shops to explore. Norman: a snorkel at the caves is a popular activity as you discover the inspiration for Robert Louis Stevenson's "Treasure Island". More adventurous groups can visit the "The Willy T" bar and restaurant, a floating pirate-like ship moored in the main anchorage and reachable only by dinghy. Another restaurant/bar on the island called Pirates, further adds to the pirate-theme of Norman Island. The Indians lie a short distance from Norman Island and this rock formation offers one of the best snorkels in the area. Peter: is home to the exclusive Peter Island Resort & Marina. You can take in spectacular vistas as you hike their many trails, follow it up with an indulgent treatment at their 5-star spa, take a dip in their picture perfect bay or opt for some appetizers in one of their restaurants. The nearby anchorages offer a wonderful opportunity for quiet relaxation, water sports or stargazing. Salt Island: dive the famous RMS Rhone, a state of the art steamship that went aground in an 1867 hurricane, she's one of the best wreck dives in the Caribbean and was featured in the movie "The Deep". Cooper: surrounded by some of the best diving and snorkeling in the area, pull up a chair at the small, laid back Cooper Island Beach Club or relax aboard your own yacht as you take in one of the breathtaking sunsets found here. Virgin Gorda: her North Sound is accessible only by water and home to the Bitter End Yacht Club, with its nautical atmosphere and welcoming attitude. A must-see on any weeklong charter is The Baths on Virgin Gorda, huge granite boulders set among beautiful white sand beaches and crystal clear water. Guests will hike up, over, through and around these massive boulders as they make their way along the Devils Bay Trail and from one beautiful beach to the next. 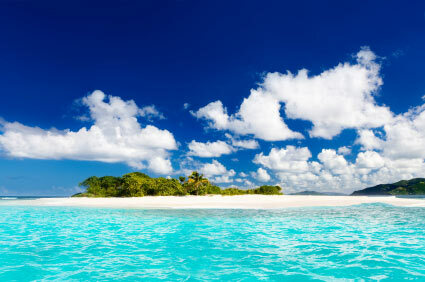 Virgin Gorda is also home to Little Dix Bay, known as the most exclusive resort in the BVI. Anegada: discover endless sand beaches and unique snorkeling on this coral island whose maximum height is 28' above sea level. A lobster BBQ on the beach one evening is what Anegada is famous for. Keep in mind that a trip to Anegada is weather-dependent and only possible in the best of weather conditions. Marina Cay: a tiny manicured coral atoll with a boutique, a tropical restaurant, and a beach; it's the perfect place to explore and stretch your legs. Next door you'll find Scrub Island, with its luxury resort, spa and marina. Trellis Bay is within easy dinghy distance and offers a small art gallery or two, small restaurants, plus a quaint beachfront area. The Last Resort is a popular restaurant/bar situated in the middle of Trellis Bay and offers visitors some evening entertainment. Sandy Spit: a fun day stop on your way to Jost Van Dyke, this picture-perfect and tiny deserted island is encircled with white-sand. Jost Van Dyke: hike to the "Bubbly Pool", a refreshing and adventurous dip on the northeast coast when a north swell is running. Be sure to swim ashore to the Soggy Dollar Beach Bar in White Bay, the perfect little Caribbean beach bar and home to the "Painkiller", a popular island concoction. Follow this up with a visit to the world-famous "Foxy's Tamarind Bar" to end your day. Our group of 6 spent the most wonderful week aboard The White House with Ryan and Jill. Our favorite day was spent exploring Anegada and having giant lobsters for dinner at the Wonky Dog. Overall this was the trip of a lifetime, and I cannot wait to do it again! Thank you Lynne for all of your help in finding the best boat/crew for our group! Everything was perfect! Please let me know if I can provide anything else! We truly loved every moment of this trip, and I wouldn't be surprised if we looked to do this trip again soon. Enjoy a BVI crewed yacht charter aboard one of our popular catamarans, monohull sailboats and luxury motor yachts. Learn more about our various yacht styles or contact us to get our expert help selecting the right yacht style for your charter. BVI crewed yacht charters offer guests a wide array of onboard activities, including sailing, snorkeling, kayaking, water skiing, wakeboarding, fishing or scuba diving. Learn more about what the crewed charter experience offers. Copyright © 2007-2019 Carefree Yacht Charters® - All Rights Reserved.